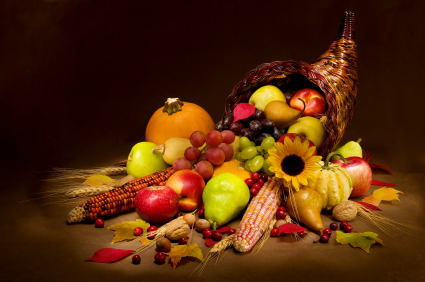 This was the week leading up to Thanksgiving which means I only had a three day work week (Thursday and Friday off). 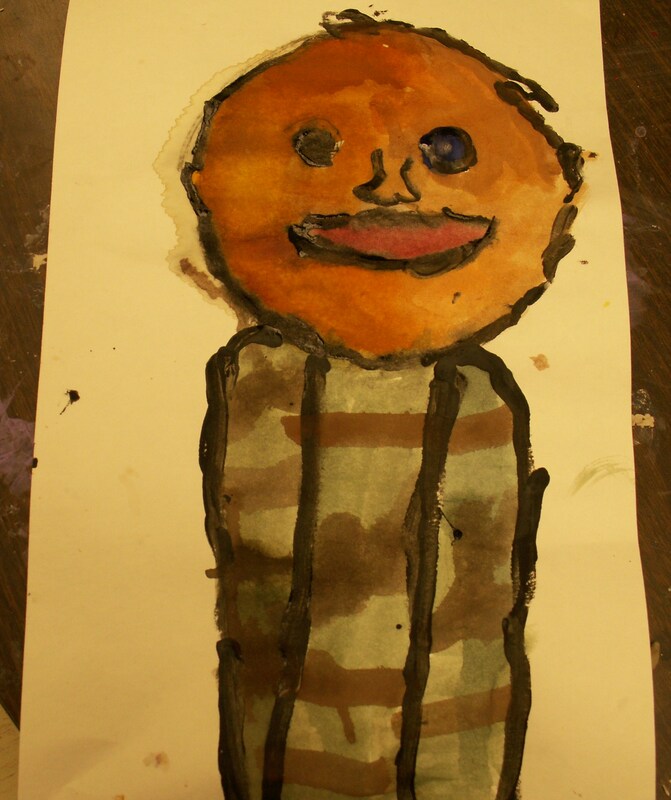 There was a lot details that had to be worked out with lessons and wrapping up my final days of student teaching. The student’s have been responding well to my instruction and seem to be excited about the lessons. 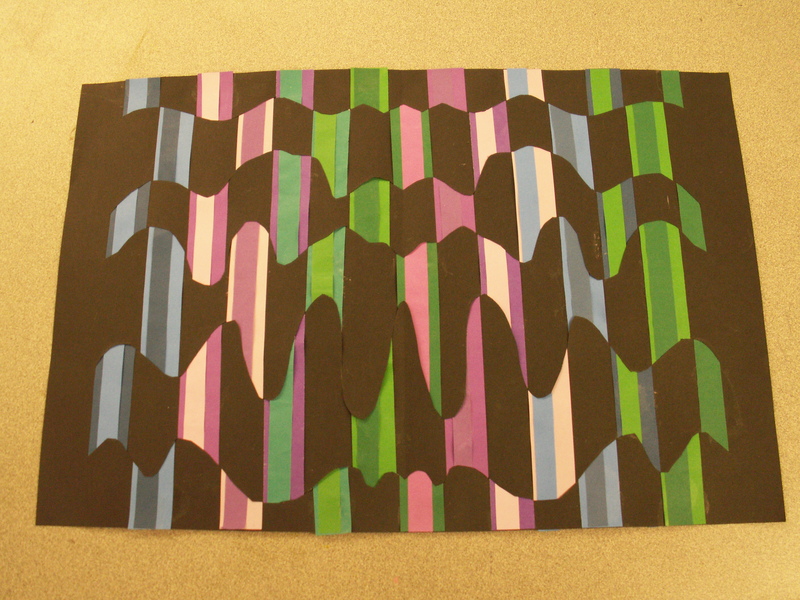 The third grade has been finishing their “op art” and are about to begin the “op art weave.” From what Shannon (my cooperating teacher) has explained to me is that student at this age still have a hard time understanding the weaving concept. 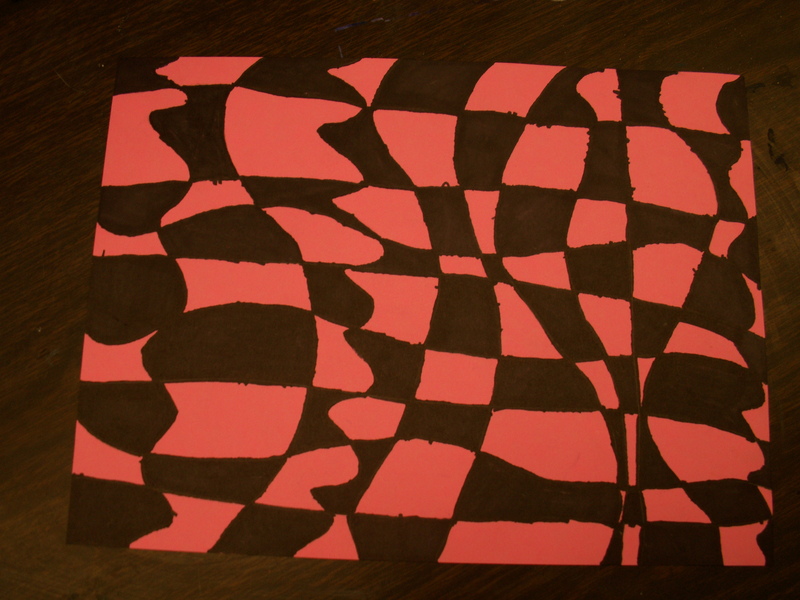 So this lesson is continuing/reinforcing the optical art idea. Here is my demo, the front and the back side. The back side white color was made possible using no fade paper. Next week will be my final student teaching. 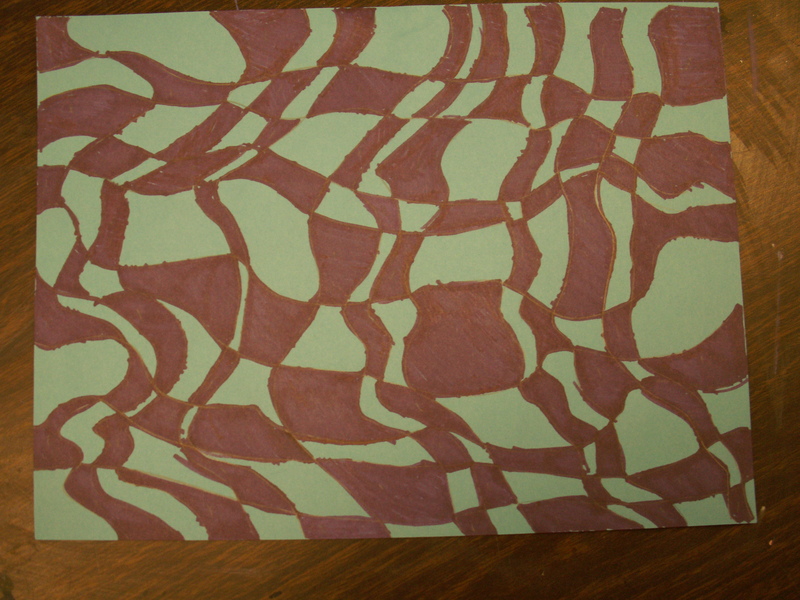 ~ by florriebarnett on December 4, 2008. As I’ve said in a previous posting, I love you’re artwork. I have three questions for you: 1. 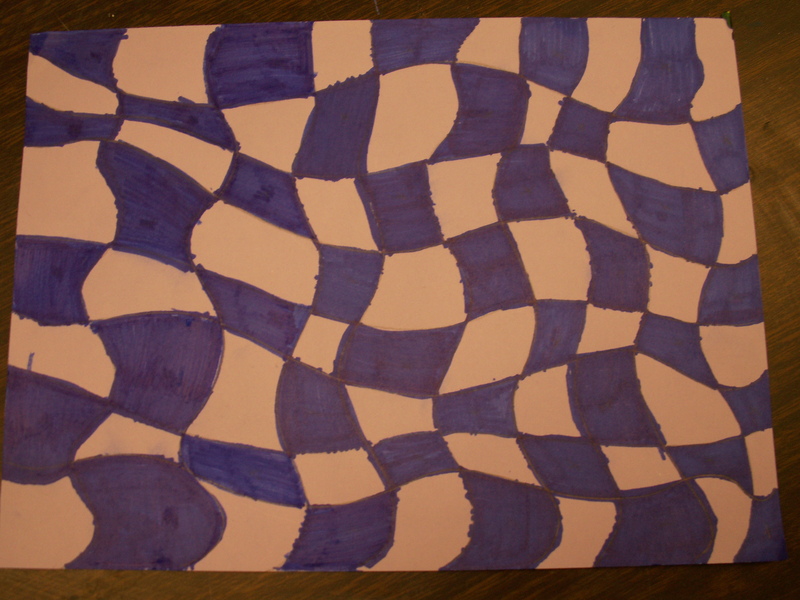 On your op art project for third graders – if you wanted to do something like that for 5th grade, what modifications would you make? 2. Does the 5th grade storyboard relate to a current project/area of study the students are working on, or is it a “stand-along” art project? 3. Your post said next week will be your final week of student teaching. What will be next for you? Thanks – I’m glad I found your blog! Hi! 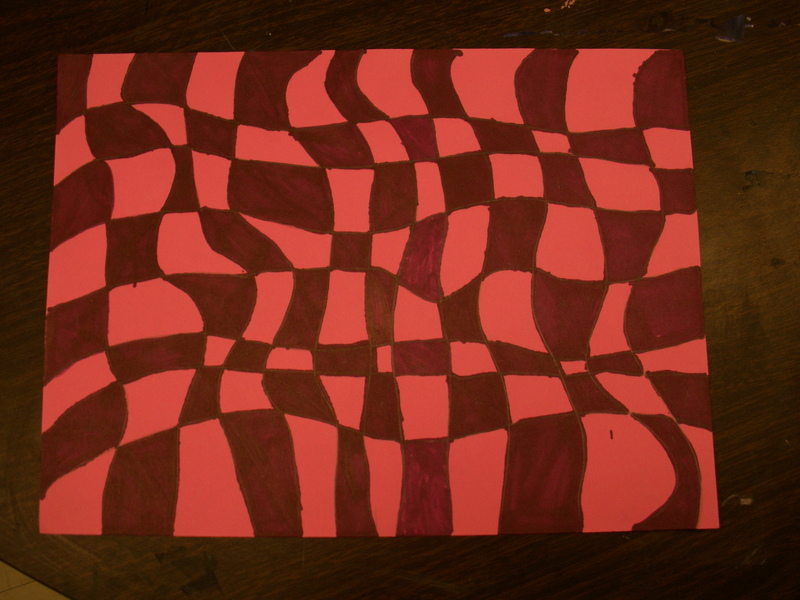 I don’t think you would have to modify the op art lesson for the 5th grade level. It could be a good filler lesson for them. 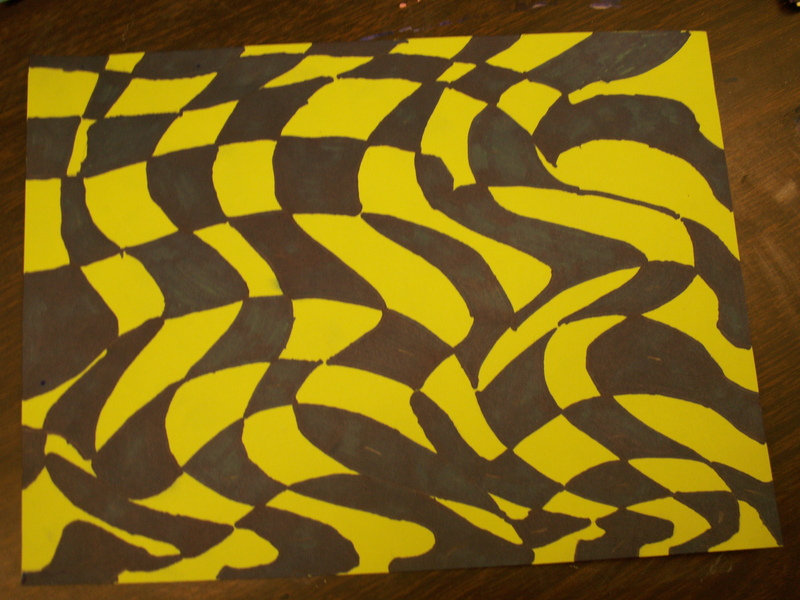 A possible modification is to add circles on top of the vertical and horizontal lines. I have a black and white example of one in my posts. 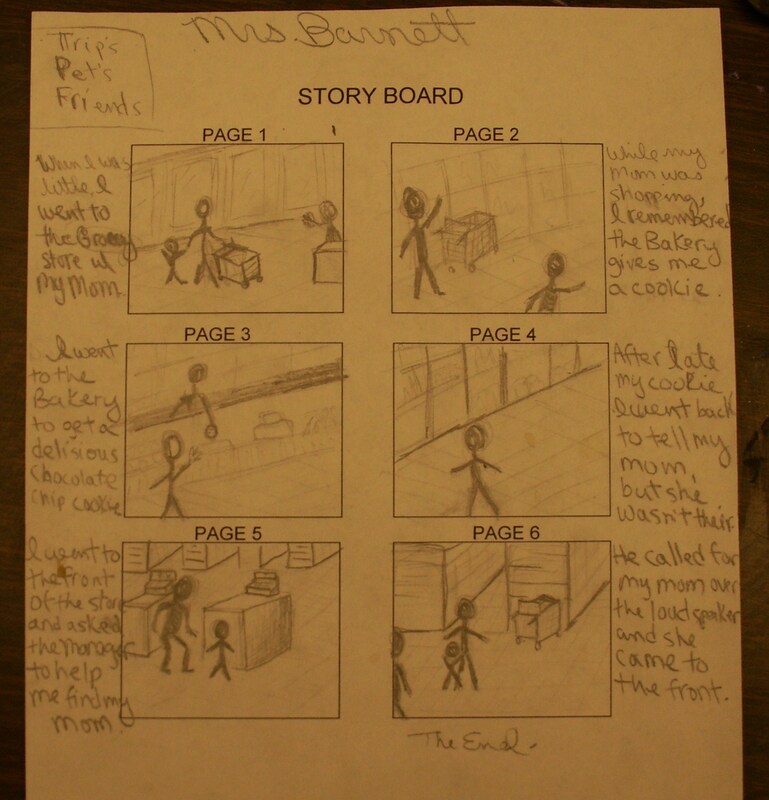 The storyboard is apart of the handmade books that the 5th graders are making. We had a visiting author who suggested a storyboard when trying to come up with a story, so I was able to reinforce the concept and show them what the creative thinking process would look like. 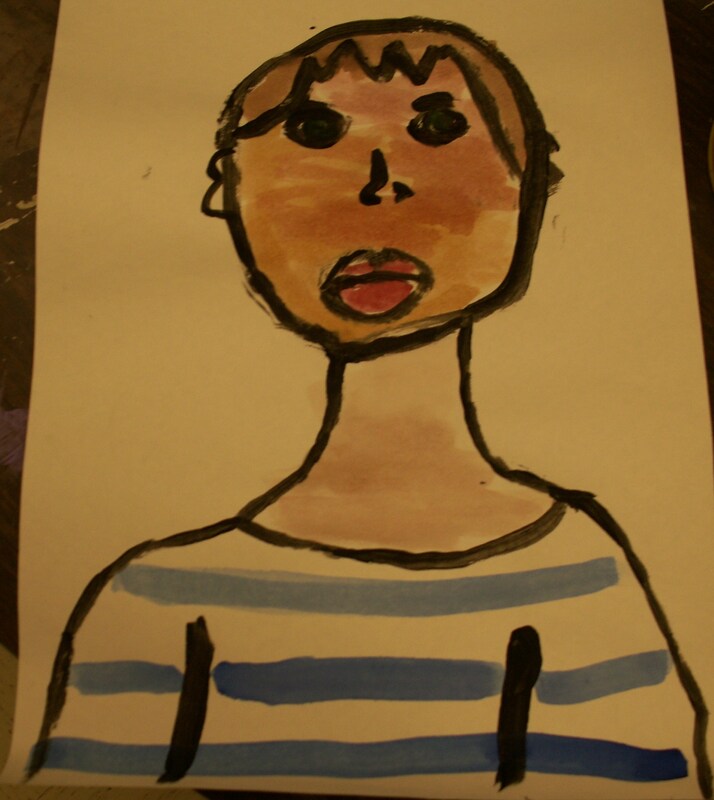 I will be moving to Atlanta, Georgia and looking for a art teaching position. 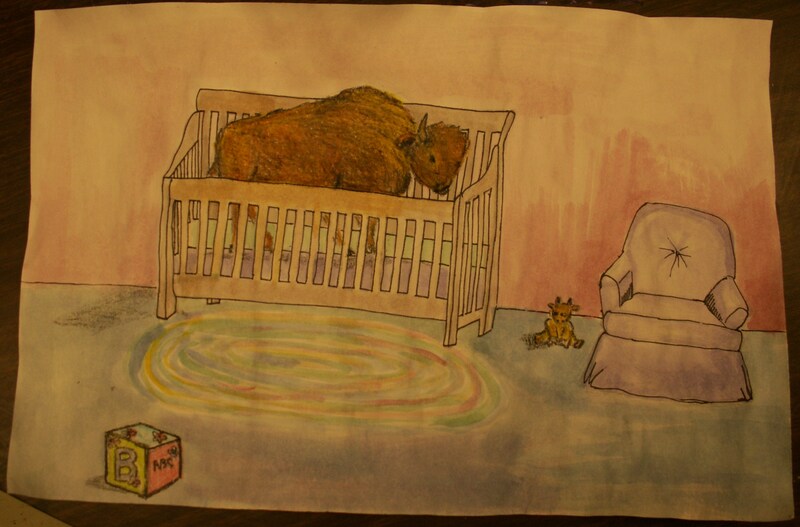 Once I get settled, I will also continue to look into local galleries and paint. What stage are you at with teaching? Thanks for continuing to view/interact with my blog!